Your Embedded Electricity Network offers several payment options which can be found on the back of each bill. 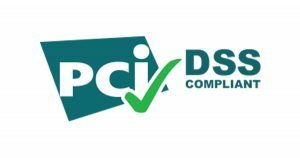 WINconnect is fully accredited for PCI/DSS (Payment Card Industry Data Security Standards) – these are a set of standards mandated by credit card companies to ensure that companies accept, process and transmit credit card information in a secure manner. Automatic Payment or Direct Debit is an easy way to ensure your bills are paid on time. We will issue your monthly (electricity) or bi-monthly (water) bill with 14-day payment terms. If payment is not received via any of the other payment methods (NB: please allow at least 3 business days prior to the due date to avoid double payments), any balance remaining on your account is automatically deducted on the due date detailed on your bill from the nominated savings, cheque or credit card account. Alternatively, please contact us 1300 791 970 and we can arrange this over the phone. If you receive multiple bills for different addresses located in different complexes, the biller code and reference number may differ. Ensure you use the correct BPAY biller code and reference number to avoid any incorrect payment allocation. The BPAY biller code and reference number details can be found on the back of your bill under payment options. You can pay your bill online using your credit card through POST Billpay website. The POST Billpay biller code and reference number details can be found on the back of your bill under payment options. You can pay your bill via phone by calling 1300 791 970 (select option 2, followed by option 1). Payment can be made using either Visa or Mastercard credit cards. Please ensure you have your account reference number handy before proceeding. These are the same details as specified under the POST Billpay payment option. You can pay your bill in person at any Post Office outlet using cheque, cash, debit card, VISA or MasterCard. You can find an Australia Post Office outlet online. Locked Bag 20044, Melbourne, VIC 3001. Please quote your account number. For more details on how to use or set up Centrepay please visit the Centrepay website (Department of Human Services).